Ubiquiti Networks have introduced a portfolio of UniFi switches into the market and they have gained great popularity among users. The UniFi switch spectrum covers 8, 16, 24, 48 ports, which offer the forwarding capacity to simultaneously process traffic on all ports at line rate without any packet loss. 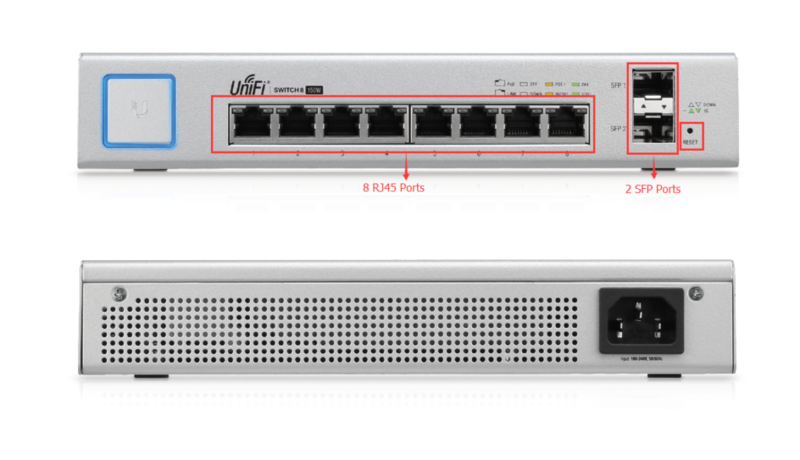 Among them, UniFi US-8-150W switch is the first version of UniFi switch and the compatibility issue is controversial when connected with SFP fiber modules. Thus, this post will give you the detailed analysis on the US-8-150W switch and list the supportable UniFi SFP modules for building the network with UniFi US-8-150W switch. The Ubiquiti UniFi US-8-150W is also known as the Ubiquiti UniFi Switch 8 150W. It is a managed PoE+ Gigabit Switches. This switch features 8 Gigabit Ethernet ports along with 2 SFP ports, making it easy to incorporate high-speed local storage networks into the configuration. 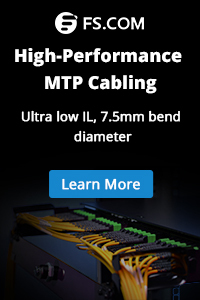 The 8 Gigabit RJ45 ports offer different power output options: auto-sensing IEEE 802.3af/at PoE/PoE+ and 24V passive PoE, whereas the 2 SFP ports provide optical fiber connectivity options to support uplinks of up to 1 Gbps. The physical size of the managed PoE+ US-8-150W switch is a bit larger than a standard home switch. So, would-be buyers who are looking to rackmount need to buy an extra shelf and stick it there. The table below provides clearer information about this switch. The functions of all ports on the switch can be explained more explicitly via the table below. Although UniFi US-8-150W Switches have won great popularity among users, there are still some pros and cons when using US-8-150W to build home networks. Before choosing the supportable UniFi SFP transceiver modules for the US-8-150W switch, we’re gonna to see what type of UniFi SFP Ubiquiti themselves produce for their switch. Ubiquiti Networks only offer two type of UniFi SFP—UF-MM-1G and UF-SM-1G-S. UF-MM-1G SFP module supports the data rate of 1.25 Gbps over multimode fibers. It uses the 850nm as the Tx and Rx wavelength with the maximum distance of 550m. UF-SM-1G-S is a single-mode SFP available in both blue (1310nm) and yellow (1550nm) color code. Unlike the 1000BASE-LX SFP optics with LC single-mode fibers that can operate up to 5 km, UF-SM-1G-S only supports a link limit of 3 km. 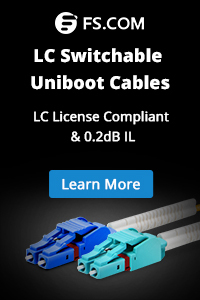 Of course, the supportable SFP transceiver modules for UniFi US-8-150W switch are not limited to these original SFPs. A wide range of third-party transceivers (including some Cisco SFP modules and HP compatible SFP modules) can also work with UniFi US-8-150W switch. The following table will show you some compatible 1000BASE fiber SFP and copper RJ45 SFP transceivers from FS.COM for Unifi US-8-150W switch. With the UniFi Managed PoE+ Gigabit 8 Port US-8-150W Switch, it is pretty easy to expand the capacity and reach of the existing networks. In addition to Gigabit Ethernet connectivity, the network ports support 802.3af/at PoE networking standards designed to power devices such as VoIP phones, access points, IP cameras, and more. Once installed, this switch supports Ubiquiti’s own UniFi Controller simplifying the process of managing network resources, switch configurations, port statuses, and much more. This entry was posted in Compatible Transceivers, Fiber Optic Switch, Fiber Optic Transceiver and tagged Cisco SFP Modules, compatible sfp, RJ45 SFP, SFP fiber, UniFi US-8-150W. Bookmark the permalink.